RIO DE JANEIRO - Twenty-seven inmates have died in eruptions of violence in two northern Brazilian prisons, officials said Sunday as they quelled the latest in a string of grisly prison disturbances across the country in which more than 100 people have died within two weeks. 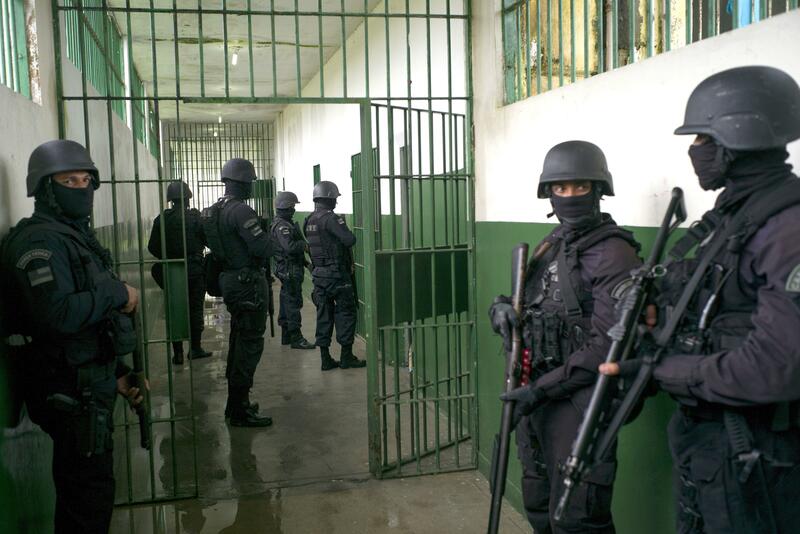 Brazil’s frequently overcrowded prisons occasionally see bloody riots featuring dismemberment. State security officials said fighting between rival gangs broke out Saturday at the adjacent Alcacuz and Rogerio Coutinho lockups near the city of Natal in the Rio Grande do Norte state. Officials waited until dawn Sunday before entering to try to re-impose control, said state security chief Caio Cesar Bezerra. “This way we guaranteed a calm intervention, a pacific intervention without resistance from the inmates,” Bezerra said. President Michel Temer expressed concern over the rebellion Sunday through his official Twitter page, saying he had been following the situation closely. The recent outbreak of prison violence began on Jan. 1-2, when 56 inmates were killed in the northern state of Amazonas. Authorities said the Family of the North gang targeted members of Brazil’s most powerful criminal gang, First Command, in a clash over control of drug-trafficking routes in northern states. Many of the dead were beheaded and dismembered. Four others died at a smaller prison. Meanwhile, the prison chief for the southern state of Parana, Luiz Alberto Cartaxo, told Brazil’s Globonews network that 21 inmates escaped from the Piraquara prison there on Sunday after using explosives to break through the prison wall. He said two other inmates died in a confrontation with police while trying to flee.